Great hops and Galaxy is currently way overpriced in the market. Can't have too much of a good thing. Itâ€™s a hop that starts with a C, so itâ€™s necessary. How old are these hops? BEST ANSWER: Hi Nathan - The crop year for the mentioned Citra hops is 2018. Has no packing date on label or package. Batch No. has no correlation with manufacturing or packing date. BEST ANSWER: Hi Jaden - These are from a 2017 crop. Made a smash beer. With my favorite hops Citra. Smelled awesome while brewing. Still waiting to try. Always a good choice for crisp piney flavor. I'm a casual brewer, 5 & 10 gal batches. I buy hops by the pound for the $ savings, but use by the ounce. I've stored hops purchased from MoreBeer up to a year in the fridge before finishing a package and have not yet had a package go bad, both pellet and leaf hops. Very fresh! I bought a pound to spread over many recipes. These work great for bittering as well as aroma. I love citra hops! I throw close to 9 ounces in my American pale between boil and dry hop additions. This was my first time ordering hops from morebeer. I have to say the packaging left something to be desired. Neither of the two 8oz packages I received were vacuum sealed. In addition: both packages contained a large amount of crushed hop pellets. The hops still smelled great and, I'm waiting on a beer fermenting with these in my primary. I would estimate that 20-30% of each package was mostly hop dust. I love morebeer but, was a bit disappointed with these hops (primarily the packaging/handling). Very fruity finish. Citrus/grapefruit/mango type flavor. Very aromatic. these hops are the highlight of my red ipa. The provide an incredible flavor and aroma. A lovely citrus floral nose. Rich fruitiness to back up this. I love to hop bust with this. They came fresh and they taste great! Not much more to say! If you like that grapefruit/citrus taste these are the hop! This is by far my favorite hop, and the Riverside shop always has it on hand. A nice citrus nose and very pleasant. Can be used for both aroma, bittering, and dry hopping. 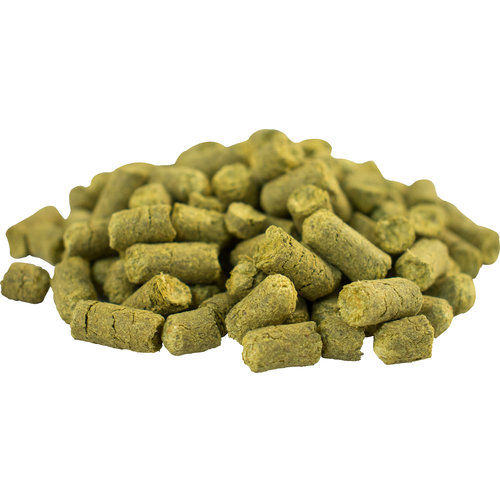 I like to use Nugget hops for my 60 minute addition and at 30 minutes begin adding citra in 10 minute intervals. One of the few hops with the complex flavor profile worth of a single-hop IPA. A 50/50 blend of Citra and Simcoe in an IPA is heavenly.